The illusion and effort we employ when designing and dreaming of our building project cannot go to waste when it is time to become reality. We must be sure that the home builders that we hire for our house construction are fully capable to do a good job. The best local construction companies in Islamabad guarantee the achievement of good results even if you have a larger or industrial project which requires road construction work or underground construction. Although getting in touch with a construction contractor and construction consultants will provide you with a much more accurate costs report, many of the construction firms in Islamabad count with a construction cost estimator online which easily tells you an average cost of your project. Search the construction company that better fits your needs. Have a look at whether they have enough experience in projects similar to yours and check reviews online. Personal recommendations from friends and relatives might also help you to find building companies in Islamabad. At Infoisinfo we want to help your project to take form. That is why we’ve prepared a list of the best construction companies in Islamabad. 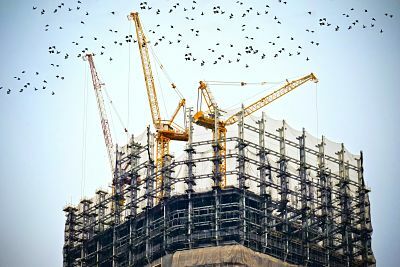 Thanks to our construction directory, you will be able to find large construction companies for commercial construction as well as firms specialised in residential construction and home improvement among others. To get in touch with them, have a look at the contact details we’ve written down for you like phone numbers, websites or addresses. Comments and valuations from other clients are also available, what it’s great if you are looking for top rated construction companies.